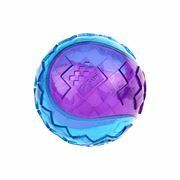 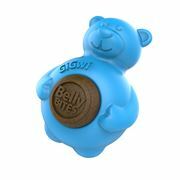 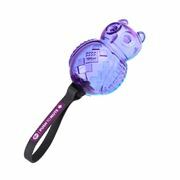 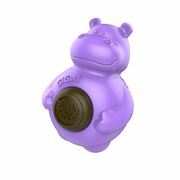 Our new range of innovative toys are designed to excite and amuse dogs of all sizes and shapes. 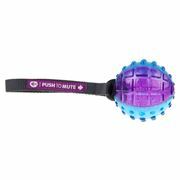 Our unique 'Push-to-Mute' technology offers a great USP in stores allowing owners to choose whether the toy squeaks or not, making playtime more exciting and your dog loving his new favourite toy. 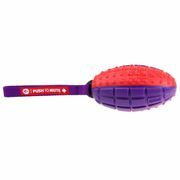 Stimulating active play appeals to your dog's natural animal instincts, acting as an outlet for excess energy in active pets and deterring them from bad behaviour. 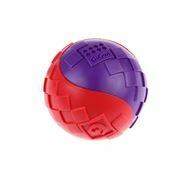 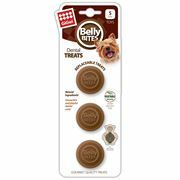 Each product is in two bold colour ways this range makes a striking feature display in any store, whilst the varied size options of tough TPR balls and tasty treat releases ensure this range is non-exclusive and suitable for dogs of all breeds and sizes. 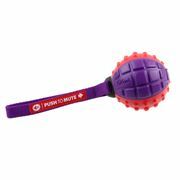 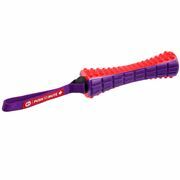 Our 'Push-to-Mute' range features TPR- Thermoplastic Rubber- as each toys main component; TPR's material composition as an incredibly durable and strong structure yet flexible and supple ensures that our toys are not only long lasting but completely safe for your pet, the ridged surfaces even soothe your pets gum during rough interactive play.